It wasn't until I started my own design firm that I first encountered the concept of "branding." To be honest, I didn't have a clue what it was, so naturally I was a little nervous discussing it with clients. 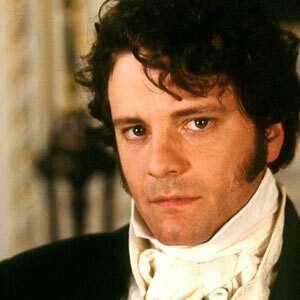 And it's taken me decades to understand all that it encompasses—probably too large of topic to tackle in one blog article—unfair both to the subject and the reader (you), but I'll give it a shot. To further complicate things, branding is always evolving as markets, technology, and generational attitudes come and go, but I'll try to stick to the core concepts and what doesn't change with the trends. First, lets debunk one common notion: a brand is not a logo. 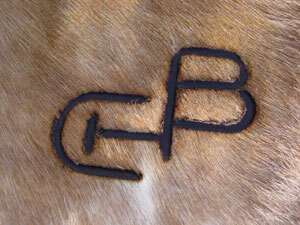 Yes, cowboys brand their livestock with a "logo," but that's where the similarity ends. Branding is more about emotions and feelings than about about logos. When I ask people to tell me what they like about their favorite brands, no one mentions logos. Simply: for a brand to have any impact it 1) has to be known and 2) it has to evoke feelings. Obvious example: when the Nike swish (checkmark) was first introduced, the public had no idea what it was identifying, and therefore had no meaning. But think about how that has changed. It is now one of the most recognized logos on the planet, and means something to about everyone who sees it. Well-known designer (at least among other designers), Michael Bierut, a partner at Pentagram in New York, posits that a logo starts out an empty vessel waiting to be filled with meaning. Granted, that meaning can be negative, but over time, if it's recognizable, will come to mean something, hopefully all good. Everything and everyone has a brand, from cars to people. People can be trustworthy, funny, and attractive. Cars can be reliable, stylish, and economical. I guess you could say, if it exists, it will have a brand, like it or not. And how people feel about a brand can change everything. Branding is the key tool of marketing. How consumers feel about a brand can drive their desire or willingness to engage or purchase. You make subconscious decisions everyday what to buy based on your recognition of a brand and how you feel about it. And interestingly, you don't always feel the same way about a brand. For example, you might normally eschew fast food while at home, but when you're traveling you're okay with McDonalds because it's something you're familiar with. Or even though you would never buy one because of the cost, you can have all kinds of warm feelings about a Mercedes. Awareness, meaning, but no budget. Branding can be a funny thing. 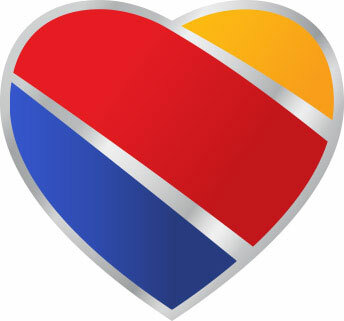 One more example: if I'm flying somewhere, I'll choose Southwest even if United is cheaper. Why? Well, think about about their respective reputations: Southwest is known for treating their customers like humans, and United makes news by unjustly dragging people off airplanes. I'll pay a little more to support the brand who treats people with respect. Note: branding initiatives have to start at home. A recent survey found that over 70% of Southwest employees felt their job was a "calling." I wonder if United workers feel the same way. Let's circle back to the logo, which I downplayed at the beginning. Logos are one of the elements of "brand identity," or the sensory part of the brand—the part that gets recognized (recalling our formula) and probably how a person first encounters a brand. Identity starts most importantly with the name, but then expands to include a memorable symbol, colors, fonts, and "trade dress" (how we can differentiate between a Shell station and a BP from a block away). But remember, a logo unrecognized, is a logo wasted. This is just a quick brush stroke on branding—so much more can be said—but for now remember the secret to building a good brand: be seen, be nice, be good, and if you can, have a cool logo.